A Powerful 21-Day Healing Meditation Course - Start Your Healing Process Today! 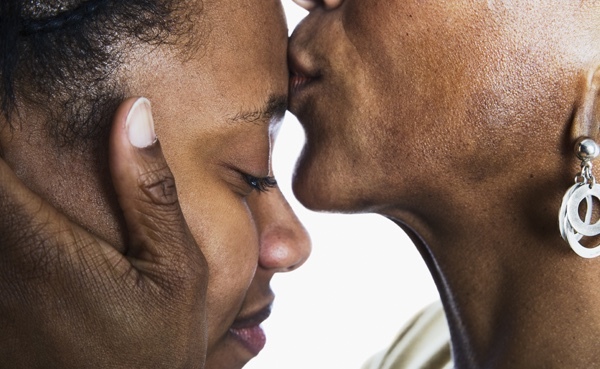 Heal your relationship with your mother and transform your life in miraculous ways. This course will bring healing to every aspect of your life. Not only your daily life, your happiness and well being, but the development of your enlightenment and consciousness. 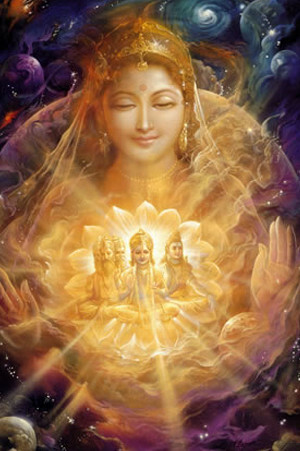 The course processes are a blessing directly from the Divine Mother, healing with Her energy (shakti). You can grow your personal connection to the Divine Mother, the core of your spark and root of your life purpose. This course is simple & easy to do. • Participating at home or work each day in a 15-minute guided audio meditation and contemplation for 21 days you can do any time, day or night. • Forgiving your mother, forgiving yourself, healing our most basic relationships. • Even if your mother has passed or if you don’t know your birth mother, you can do this healing process. Forgiveness is the focus of this course and daily guided audio meditation and contemplation. Discover something truly miraculous with you. Forgive your mother, forgive yourself, and uncover your true spark. Forgiveness is soul medicine through which peace (shanti), unconditional love (prema), truth (satya), dharma (life purpose and action), compassion and joy emerge. These inner transformations can dramatically uplift humanity and the Nature. Even if you had a traumatic childhood, or regrets about your own behavior with your mother, you can come to a place of true forgiveness. "I have found that the greatest degree of inner tranquility comes from the development of love and compassion... Individual happiness can contribute in a profound and effective way to the overall improvement of our entire human community." What to Expect from Doing this Course? Even if you have a good relationship with your mother, it is valuable to practice the techniques and tools within this course. These practices will help to release unconscious emotional patterns and deepen your connection to her. Healing this relationship with your mother goes far beyond healing on an emotional level, it essential for our spiritual life to receive the Divine Mother's energy to develop our consciousness. Releasing and forgiving the past, and letting go of heart pain can be extremely difficult to do, especially when that heart pain has been created in our relationship with our parents. A child has a very sensitive heart. If a child's heart was wounded in their relationship with their mother or father, a wound is created in the heart that is often carried throughout their life. 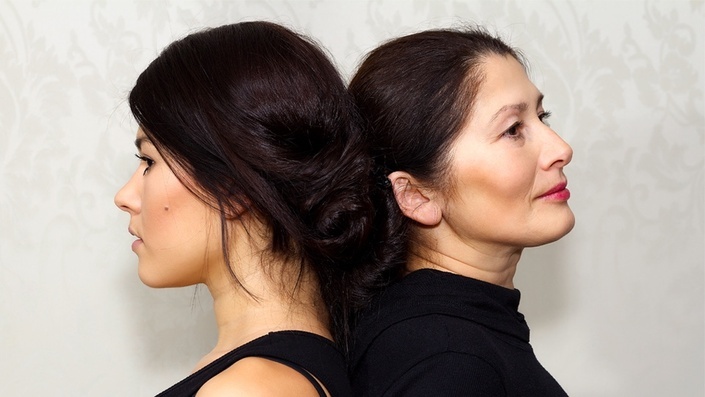 Our mothers, in particular, have the strongest influence on us, on our life and on our soul. Only with the Divine Mother's grace will your life be successful and happy. The effect from a ‘mother wound’ is an inability to give and receive love, which is at the root of our emotional suffering and dysfunction. A heartbreak. This heartbreak leads to depression, insecurity, unworthiness, low self-esteem, and being drawn into inappropriate and damaging relationships. It also affects our spiritual life, it closes us from the flow of love and bliss from the Divine Mother. "Especially in western countries, children are grown in a painful way. That impact will affect on the soul. Our childhood days' energy power, that behavior, that clarity mind, the vision, it keeps continuing the rest of your life." • Authentic gratitude for the gift of your life. It is through the link between your mother and the Divine Mother that the sacred feminine energy flows to your soul. Your birth mother’s energy helps to open the doorway for your soul to connect with the Divine Mother. "We all came from a mother. We all came from a female character. Your whole link is somewhere with the female. Without a female there is no creation on the planet. In your mother’s womb, when the creation is running, your father and mother’s energy is involved. Who is generating the soul? Is it your father, your mother, the supernatural cosmic, or Mother Divine? Through your physical mother’s womb the soul comes into our body. Her own soul is sucking the cosmic energy and creating the soul. Human beings have to respect the mother’s womb. It’s the holy place we all came from. You have to respect your mother and you have to connect to your mother then connect to Mother Divine." This is why we need to have pure love for our mother. We can develop this pure unconditional love through powerful formulas from the ancient knowledge to heal this sacred relationship with your mother. As the healing energy begins to flow so will unconditional love grow in your life. "A mother's love is immortal, forever and ever. Once you win your mother’s heart, automatically you got enlightened there. It doesn't matter if your mother is alive or not, if you do a good job in your mother's name, yes, you made it. Your journey is made. Your austerities are made. 99% of your japas, your fire ceremonies, your journeys, you're very close." • Listen each day to a downloadable audio recording of the 'Healing Your Relationship with Your Mother' process. • Receive a FREE Sacred Fire Ceremony for Abundance and Success energy transmission (A $54 value! Live webcast viewable on any web browser). • Receive a downloadable online teach­ing each day during your 21-day process you can start and finish any time. • Have full access to all program materials within your own student account. I am impressed with the depth of the multiple profound meditation/ processes in this program. This is so beautiful! These programs are always better if possible (deeper as energy, love, beauty) than the previous always! I was deeply moved by the depth of the process and filled with much humbleness and gratitude. The program were deeply healing to us. Thank you so much for that great gift you gave to us through giving that program! Thank you!!! The need of all of us to see the Mother, the aching for that connection to the Mother takes us forward and here you are, offering the remedies!! Our heart is filled with love again to you as instruments of the Divine. May Mother bless you with infinite satchitananda. I would like to wholeheartedly thank you for the amazing series of programs. What a beautiful experience that was. It helped me hugely with my volunteering in Vancouver that I do on my time off from work in Alberta, a hospital and old age home. I hope with time I will have more clarity on how can I help the mission. If there is anything I can help with, I would gladly do so. Thank you again for making the Sudarshana process available! I wanted to give you some immediate feedback that has been a wonderful affirmation. My cat Pandu got chomped by a dog the day before the process. He had a very bad head wound that got infected and quickly got swollen into a huge bump and a leg sprain. As the fire puja started I asked that he be included in my healing and sent energy and intentions to him as well as being fully receptive for my own physical and emotional healing. Thank you for the wonderful ceremony. It felt like a great deal of energy was transmitted. I rested and slept after it and when I woke up I checked on Pandu. His head wound had completely drained during the ceremony and by the next day was MUCH better. Today it is almost unnoticeable! He still has a bit of post traumatic stress but that is disappearing too. Viewed as an outer reflection of my own healing, this feels wonderful. I am sure this is a very significant step forward for myself as well.